You know the feeling. You’ve been working on your computer into the small hours and it’s left your eyes feeling dry, tired and a little blurry. Well, it’s got a name: DES, or digital eye strain. So how can we avoid it? So what causes DES? Looking at a screen for prolonged periods causes us to blink less, meaning our eyes dry out faster. But, more importantly, using a screen also means our eyes do not change focus for long periods of time. 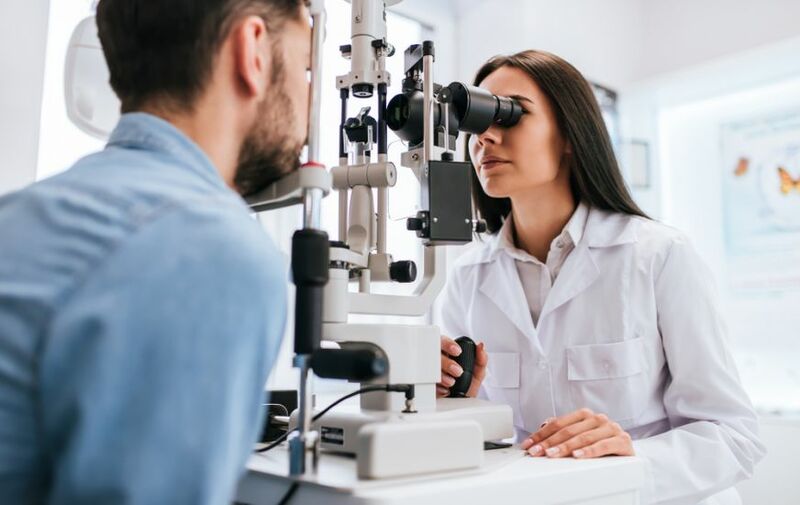 Maintaining a fixed focus at a close distance for a long period of time can tire the ciliary muscles in your eyes, leading to fatigue and ultimately DES. 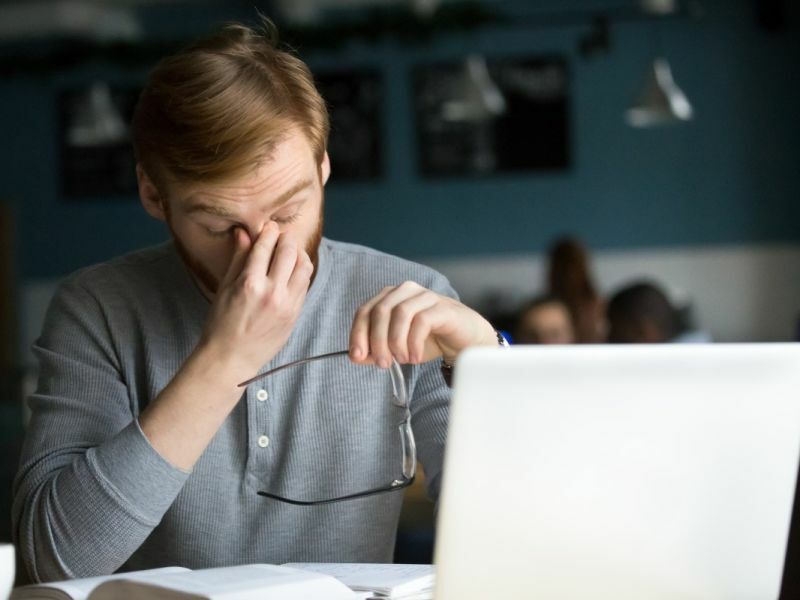 To beat the pain of eye strain, remember the 20-20-20 rule: every 20 minutes of screen viewing time you should take a 20-second break and look at something around 20-feet away. Your eyeballs will thank you for it. As well as frequent screen breaks and remembering to blink regularly, it’s important to stay hydrated. Drink plenty of water to keep your eyes and body topped up. Finally, be sure to squeeze in a healthy 7-8 hours of sleep each night. You might also benefit from ‘computer glasses’. These spectacles are designed to help keep the focus of the eyes comfortable, specifically when using computer screens, and may incorporate a special anti-reflective coating to reduce glare from the computer screen. Your optometrist can recommend suitable lubricating eye drops which may help reduce the symptoms of DES, especially if the eyes are getting dry or red. Perfect for when you’re burning the midnight oil in front of the computer. Of course, it’s not only tablets and mobile phones that are to blame. We can also get symptoms of DES while watching TV. To minimise this make sure you are a comfortable distance from the TV. You don't want to be squinting or straining to see clearly. If your eyes feel dry or tired, or if you’re experiencing any of the symptoms mentioned above, you might need an eye test. Call Leightons on 0800 40 20 20, head online, or pop into your nearest branch to book an appointment. Become a MyLeightons member and get complete care for your eyes and ears for less than the cost of a TV licence. Find out more about the full benefits of MyLeightons.